Spacious floor plans with wood burning fireplaces and mudroom. The Stratton Sports Center is just a short walk and a winter weekend and holiday shuttle takes owners to the Stratton Base Area. Private outdoor summer plunge pool. I have a question about the property at 49 High Point Stratton VT 05155 (#4730802). I would like to schedule a visit for the property at 49 High Point Stratton VT 05155 (#4730802). I have a question about the property at 47 High Point Stratton VT 05155 (#4191539). I would like to schedule a visit for the property at 47 High Point Stratton VT 05155 (#4191539). I have a question about the property at 47 High Point Stratton VT 05155 (#4677241). I would like to schedule a visit for the property at 47 High Point Stratton VT 05155 (#4677241). I have a question about the property at 49 High Point Stratton VT 05155 (#4739233). I would like to schedule a visit for the property at 49 High Point Stratton VT 05155 (#4739233). I have a question about the property at 41 High Point Stratton VT 05155 (#4731062). I would like to schedule a visit for the property at 41 High Point Stratton VT 05155 (#4731062). 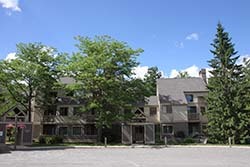 Crown Point is ideally located within walking distance to the Stratton Sports Center and a short shuttle ride to the Base Lodge. This spacious 2 bedroom 2 bath upper floor unit has great southern orientation and a view toward the winter trails. Cozy up around the wood burning fireplace after a great day on the slopes. Well designed with large mudroom, ample storage and laundry room. The great room with wet bar opens to dining and kitchen. Association fees include heat , hot water and firewood. Affordable carrying costs and a well maintained community and well run association. Make Stratton your winter home and enjoy everything the resort area has to offer! Sports center bond eligible. I have a question about the property at 43 High Point Stratton VT 05115 (#4730302). I would like to schedule a visit for the property at 43 High Point Stratton VT 05115 (#4730302).